What is the Best Way to Vacuum Carpet in Your Home? WHAT’S THE BEST WAY TO VACUUM? If you own a home with carpet you have probably vacuumed thousands of times. In general, vacuuming isn’t to complicated but is there a best way to vacuum? Yes. There is. First, you want to vacuum often. You should vacuum high traffic areas in your home, including hallways, stairs, entryways and in front of furniture, at least three or five times every week. 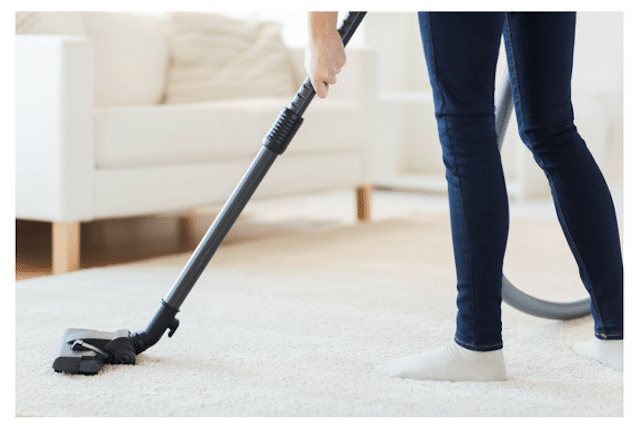 You can vacuum other rooms and areas of your home only one or two times a week but it is very important to do so regularly for the areas where you and your family walk on the most. Before you vacuum you should dust your tables and shelves in the room. This way the dust settles onto the carpet before you vacuum and you can remove it then. You should also vacuum and wipe down furniture first so that particles fall to the floor before vacuuming too. When it is time to vacuum, do so in a repetitive motion and go over each portion of carpet at least two or three times to ensure you have removed deeper dirt or dust from the floor. You should also use the handheld vacuum attachments to vacuum corners of each room and around and beneath furniture. You should move furniture regularly so that you can vacuum and maintain the carpet beneath it often. Don’t forget the stairs. Most vacuums include an attachment for stairs and you should vacuum stairs a lot. We also recommend a stair runner or plastic covering to protect the carpet on stairs for as long as possible. Vacuuming is one of the most important things you can do for carpet other than professional carpet cleaning. If done often and correctly it will help to extend the quality and lifetime of the carpet in your home and maintain it between carpet cleaning appointments. When it is time for deep carpet cleaning you should call Chem-Dry of Fort Wayne at (260) 409-1138. Our service and equipment reaches the deeper dirt that vacuums cannot.